You will love the innovative and intelligent folding technique of this sporty stroller! Everything is faster with the rapid 4, because it can be folded up compactly with just one action. The release loop doubles up as a practical carrying handle, making it easy to lift the rapid 4 onto the bus or carry it up the stairs, while your other hand is free for your child. Our tip! To go with rapid 4, we recommend our comfort fix car seat and the matching isofix base (= Comfort Fix Set). With its patented passenger protection system, the Comfort Fix car seat always guarantees a safe car journey. Combine comfort fix and rapid 4 to make a practical shop'n drive system. You don't need a separate adapter, because the buggy comes equipped with a fixing device. This is a great find and you sort lots of products in one go which resolves alot of stress and worry that goes into choosing it. Thanks so much for sharing. I will pass on to any potential parents. 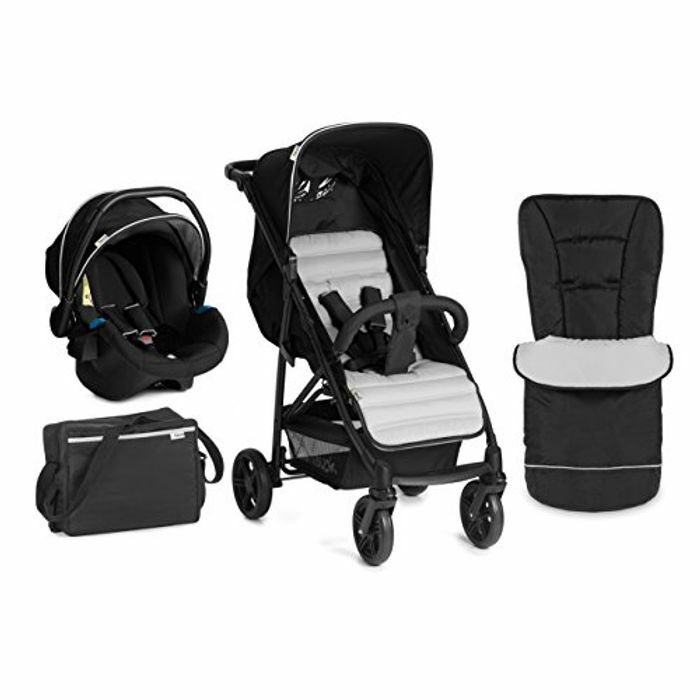 Fantastic deal love a travel system makes life much easier with a newborn. Prefer a stroller for am older child. very good deal indeed i'll pass this on to my sissy! thanks for sharing!